Are you interested in pursuing a career in investment banking? Would you like to gain hands-on experience in the industry? 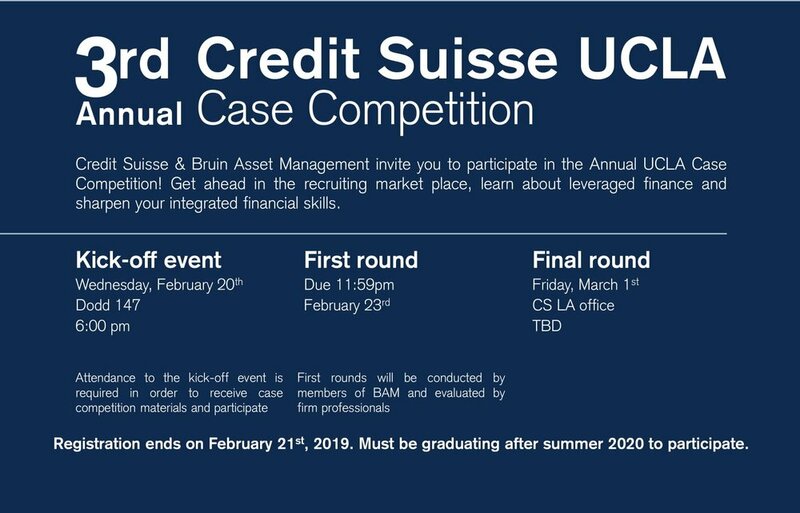 Bruin Asset Management has partnered with Goldman Sachs to host its third investment banking case competition at UCLA. Throughout this case, you will have the opportunity to gain valuable experience evaluating businesses, creating financial models, and thinking critically about investments. This case is a great opportunity to learn about the investment banking industry while showcasing your skills. Finalists will be invited to Goldman Sachs' Los Angeles office to present their case findings to senior bankers. Teams of 3-4 are requested – members must be currently enrolled at UCLA and be graduating in fall 2020 or later; all majors are encouraged to participate. 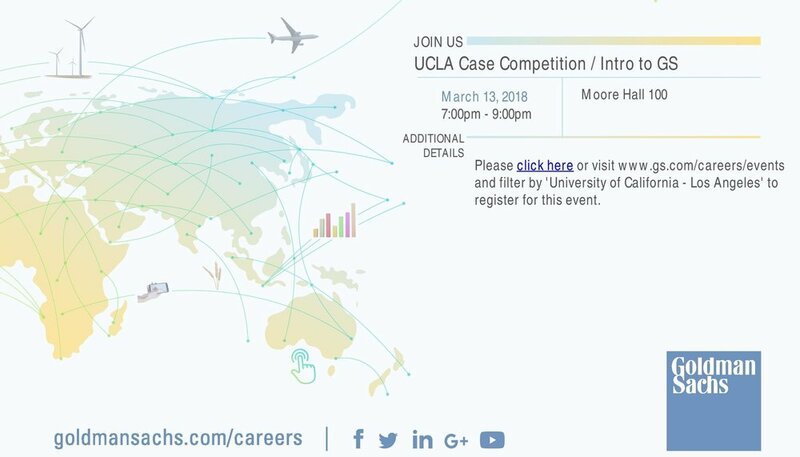 Please visit www.gs.com/careers/events and filter by 'University of California – Los Angeles' to register for this event. We work hard alongside the most prestigious firms in finance to provide top-notch experience in competitive case competitions. Be on the look out for the next event on our LinkedIn page.